Enjoy the freedom and opportunities The Whitlock offers. No home maintenance - we do the work for you! Enjoy our beautiful park-like surroundings. Enjoy our calendar of activites and more. And much more... subject to changes and added activities! For an additional charge, the following services may be provided. Residents enjoy having the beautiful surroundings of the tree-studded property. 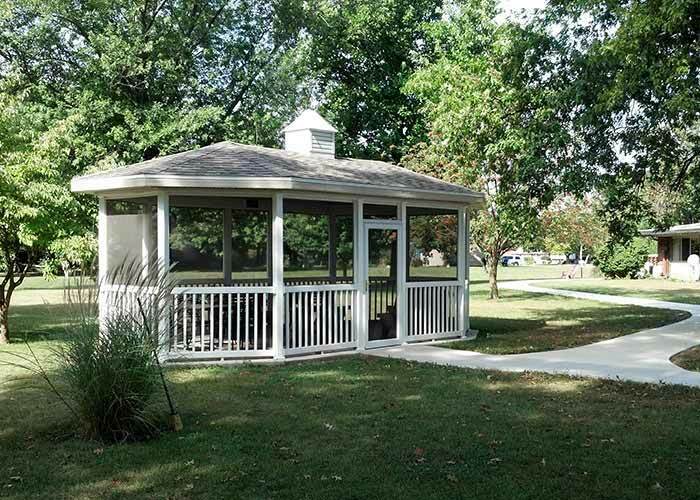 Soak up a warm sunny day in the screened-in gazebo, or take a stroll on the walking paths. The spacious Gathering Place offers multi-purpose room for residents to read, do puzzles, play cards, and appreciate occasional entertainment. Scheduled activities include an exercise group, game activities, visitor performances, and pre-school visits. The Activites area houses a pool table, and tables and chairs to accommodate a large group or a few small groups working on the hobbies and projects. 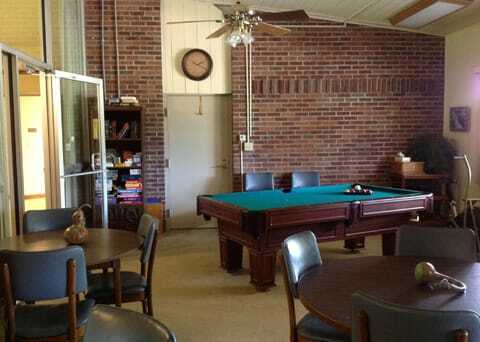 Residents often play bingo, trivia, cards and other activities here. The Family-style Dining Room seats residents for their daily continental-style breakfasts and a home-cooked Noon meals. During non-meal times and evenings, this space accommodates entertainment, weekly devotions, and additional space for other activities. The Outdoor Patios are just a few of the areas where residents can enjoy the beautiful, outdoor surroundings. Residents often hang out in this small, cozy sitting area near the entrance to collect their mail and visit each other. It offers a perfect view to the outside entrance while waiting for visitors. The Whitlock apartments offer amenities and extras that allow you extra time to enjoy life!